NASA Sends Warning Video to ALL Employees to PREPARE! A giant cosmic necklace glows brightly in this NASA Hubble Space Telescope image. 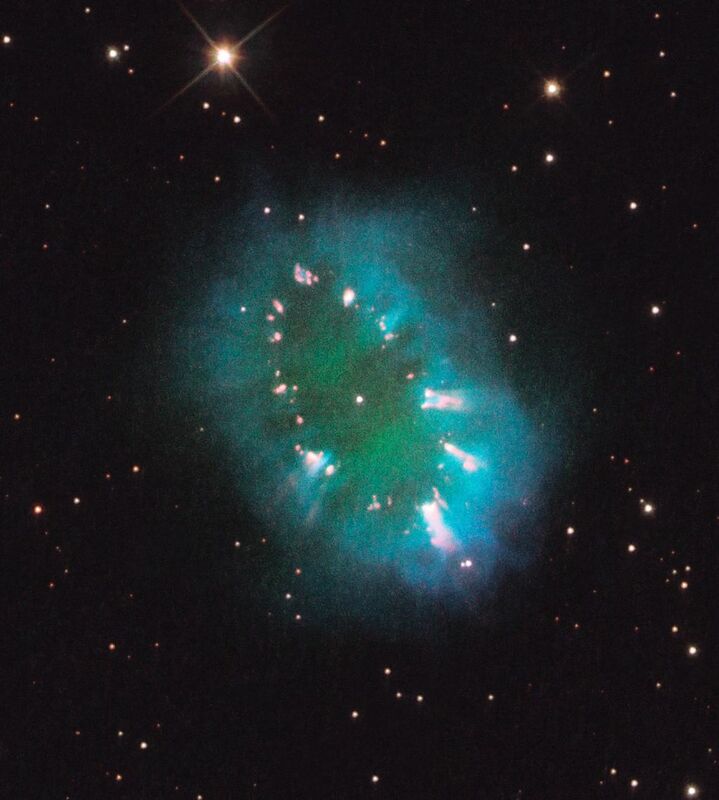 The object, aptly named the Necklace Nebula, is a recently discovered planetary nebula, the glowing remains of an ordinary, Sun-like star. The nebula consists of a bright ring, measuring 12 trillion miles wide, dotted with dense, bright knots of gas that resemble diamonds in a necklace. A pair of stars orbiting close together produced the nebula, also called PN G054.2-03.4. About 10,000 years ago one of the aging stars ballooned to the point where it engulfed its companion star. NASA researchers have found the building blocks of DNA, the genetic molecule that is essential to all life forms, in meteorites, pieces of space rock that have fallen to Earth. The discovery suggests that similar meteorites and comets may have impacted Earth and assisted in life formation here. An alien world reflects less than one percent of the starlight that falls on it, making it the blackest exoplanet known. A planet orbiting a distant star is darker than coal, reflecting less than one percent of the starlight falling on it, according to a paper published on Thursday. The strange world, TrES-2b, is a gas giant the size of Jupiter, rather than a solid, rocky body like Earth or Mars, astronomers said. It closely orbits the star GSC 03549-02811, located about 750 light years away in the direction of the constellation of Draco the Dragon. "TrES-2b is considerably less reflective than black acrylic paint, so it's truly an alien world," David Kipping of the Harvard-Smithsonian Center for Astrophysics said in a press release issued by Britain's Royal Astronomical Society (RAS).